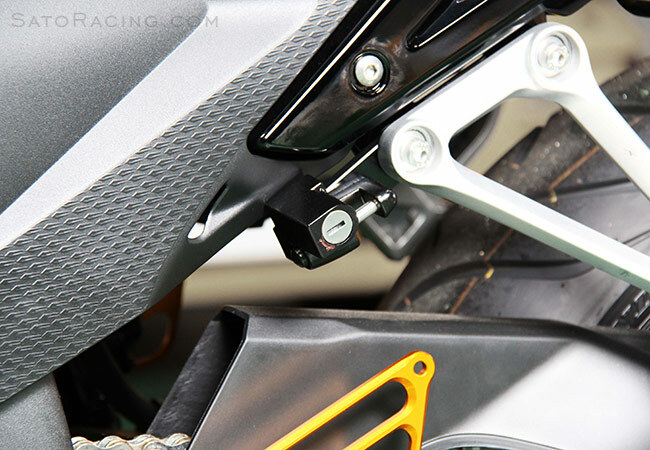 Keep your helmet secure with a SATO RACING Helmet Lock for 2013 and up Honda CBR500R/ CB500F/ CB500X (also fits CBR400R/ CB400F/X). This rugged lock mounts in a convenient location behind the left-side passenger peg bracket. Perfect for those times when you are out on a ride and want to stop somewhere but don't necessarily want to carry your helmet around with you. 2 keys are included. 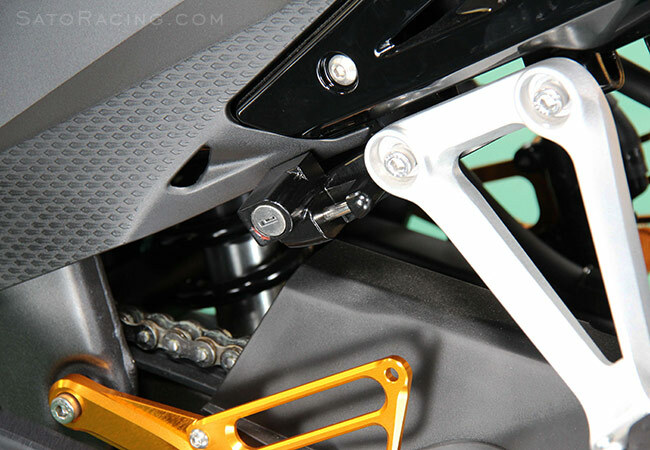 NOTE: on some CBR500R/CB500F's, the corner of the seat rail fairing may stick out in a way that could cover up or interfere with the lock mechanism. 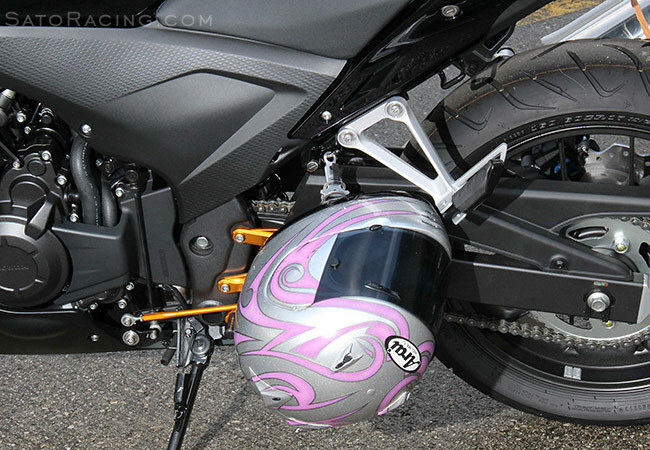 In these cases, we recommend tucking the corner of the fairing behind the lock if possible.